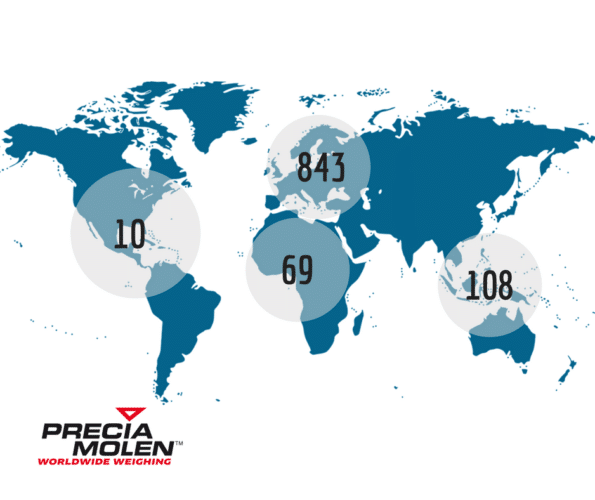 1030, this is now PRECIA MOLEN’s headcount following in January 2017 of the CAPI companies in Ivory Coast and in Burkina Faso. From 5 people in 1951, date when PRECIA was taken over by Jean Escharavil, Anne-Marie Escharavil’s father (now president of the Surveillance Committee), the small company from Ardèche is now an international (although still “ardéchoise”) company with 1030 employees in the world. Over 30 nationalities from the 5 continents ! The company’s increase in terms of turnover as in headcount has been driven by a strong internal growth with the launch of various product ranges during these years of major economic development. The Group experienced a rough period to subsequently restart for the better at the start of the new millennium with the extra development of external growth: creation of subsidiaries and the acquisition of subsidiaries abroad as well as PRECIA SA subsidiary PMS in France with the present 53-site network and 400 people. We now include over 30 nationalities from the 5 continents with origins such as the Fiji Islands (Weighpac NZ), Chile (PM Brazil), Nepal (PM UK), South Africa (PM Australia)… to name a few.